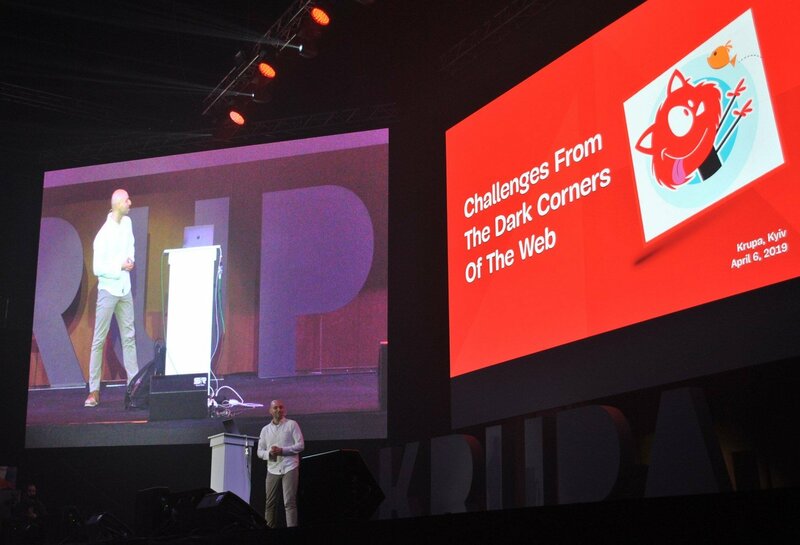 Vitaly Friedman is a truly incredible speaker who doesn’t need much time to win over the audience. His dazzling charisma and calm confident voice are mesmerizing. You can listen to him hours on end and still want more of his design wisdom and effervescent humor. Naturally, all of that translates into his spoken and written word off-stage. 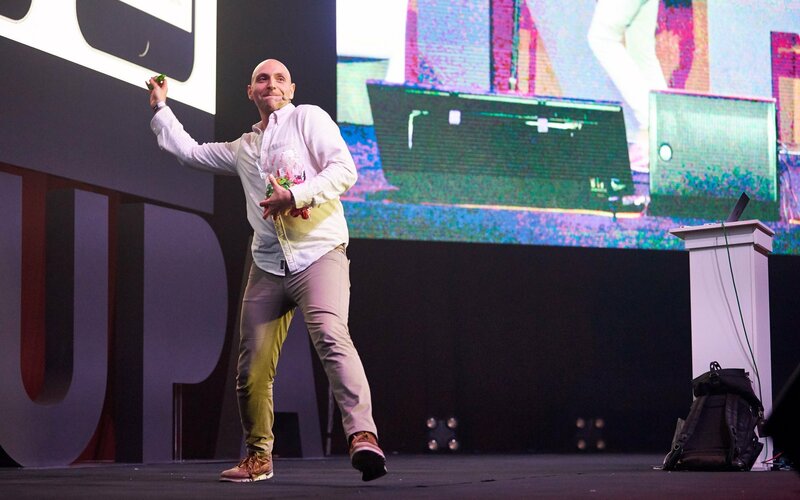 MasterBundles was lucky to catch Vitaly before his amazing speech at Krupa 2019 and ask him a few questions. MasterBundles: How do you like it here in Ukraine? Well, I’m here all the time, to be honest. I was spending probably most part of February in Kiev because I was recording a video course here. And I felt like this is a very nice community to be a part of. This is a very vivid, and friendly, and open-minded. And this is not common, actually. And the community is great worldwide. But people are extremely curious, I like that a lot. MasterBundles: Do you think it’s maybe because Ukraine is seen as an IT hub now? Maybe, I don’t know, to be honest. But I’m looking specifically into designers and I see that there are many, many things that are a little bit different. People are just really, really willing to experiment and spend weekends, nights and days just trying the things out. I think the energy is incredible here. MasterBundles: How did you come up with an idea of writing an article on Privacy UX? And so, when I was teaching in Amsterdam in February, and when I was traveling a little bit half of the last year, I was interviewing people and trying to understand how they see privacy. Is it really a thing that I worry about? Or something that they worry [about] as well? And I was really shocked, to be honest, about how deep-rooted the problem is. So, for many people, they don’t believe the web, they don’t really like the web. They just, you know, use it but they don’t enjoy the web. Because we have all these pop-ups and all these striking pixels. And one of the things that I find extremely annoying is that you search something on Google one day, and then this term or this thing keeps following you in Instagram, on Facebook, everywhere. In a way, some people are used to it, but they really don’t like it. And so, there are many critical privacy issues that sometimes can ruin conversion, can ruin a product, they can make things really, really difficult. And so it’s really important to kind of find some principles, some guidelines to do it better. And so I’ve been trying to find some kind of UX patterns, interface patterns that would actually prioritize privacy and make it evolve like a first-class citizen. So this is what has been my focus over the last years. MasterBundles: Are you thinking of writing a book, maybe? I actually am writing a book right now! Not only about privacy, it’s like a lot of different patterns. All of it together. And this privacy thing which is like four articles, they will be a part of one of the chapters in the book. MasterBundles: Can you reveal a secret for the readers, when will it be published? Oh, I don’t know, I have to finish writing it first. But I would love to finish it by late 2019, latest, hopefully, by September. MasterBundles: What do you think about Gen Z’ers? Are they out of their minds? No, I think that many things that are normal to me, let’s say, they are not understood in the same way and there are different sorts of expectations. You know, what’s really interesting? At some point, somebody said it’s important that lawyers and doctors who practice medicine and law need to have a degree. They need to have a license to be able to practice. And if they do something wrong, you know, this license will be withdrawn. What’s interesting now is that we as designers have an incredible impact on people. You know, all these people here at the conference, they are massively influenced by products that all of us are creating and designing. And we don’t have a license! And so, there is an interesting conversation happening now: should designers have a license now? If you look at Facebook, and everything that happens to the data, and that’s also what I’m going to speak about, it’s incredible that we are the ones, the minions, who are placing the buttons, and making all the settings, and everything. But then, as a result, we are also responsible for things that happen. We should be probably, but we are not at the point, because we’re just designers. We’re just designing a button. And I think, this is about to change this year. 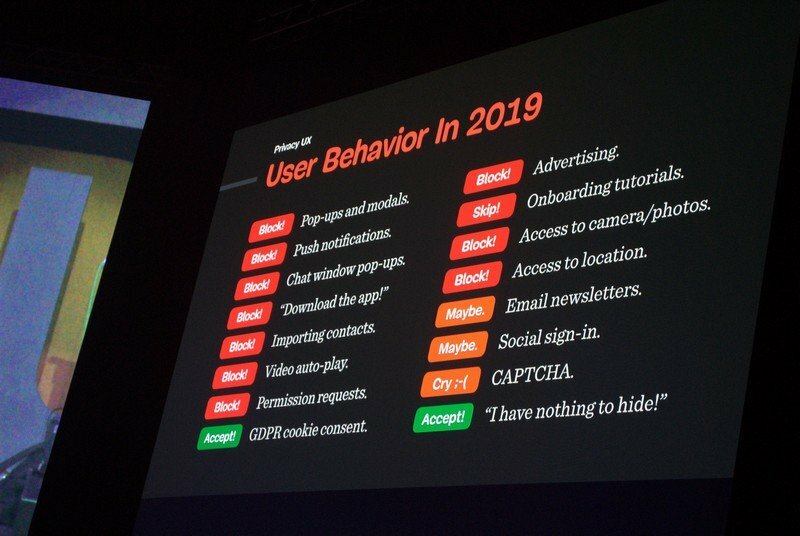 And this year is becoming, as it seems at least, the year of privacy, while the last few years were inclusive designer accessibility. This is why I am also going to cover that in detail. So, the Generation [Z] doesn’t really know, I guess, how to value certain things because they’re used to it. Yeah, because they don’t know the other side, because we’re creating the interfaces that are NOT different. MasterBundles: Could you, please, advice a book that has influenced you recently? Yeah, I think I am reading a lot of books which are not necessarily related to UX at all. But I like reading books on psychology So, there are many of them. Susan Bush has written a couple of books on that. Basically how people behave, what they do and so on. I’ve been thinking, maybe, a little bit too much about the human role in the technology business, how we are shaping it. So, there is a nice book “Sapiens” I’m sure many readers will know it. And there’s also a new book by the same author which is 21 Lessons for the 21st Century. And this is a book that pictures a very dark, not nice view of the future. And, of course, that’s like extremely exaggerated, I guess, in many ways. But it got me thinking, so I’m trying to find the books that really are a kind of books I don’t agree with. So, this is my kind of point. MasterBundles: That make you think and criticize? That make me try to find the arguments that would protect my ideas, like my views against the ones of the author. MasterBundles: What’s your best advice to the designers who start their career in 2019? I think an important thing to consider is how to put out an important message. Everybody’s sending messages but at the same time, it’s really critical to find that voice that you have and send a message with your voice. Everything looks very similar, very generic in a way, very predictable. And so, when you want to communicate the message and you do it in the same way everybody else does, then it will be very difficult to be heard. You need to develop your own style, the way you design, the way you do things or don’t do things. Like some sort of zen principles, maybe. Or some sort of general guidelines you follow in your work. And then follow them no matter what. MasterBundles: Thank you very much! Hi, I'm Jim. Most of all in my life I like to receive mails from designers, marketers and developers about how introduction to MasterBundles site has changed their lives. Give a chance to your destiny - subscribe to our mailing list, add the blog to your bookmarks, buy bundles. Write to [email protected] if you want to talk or publish your article. I embrace each of you.